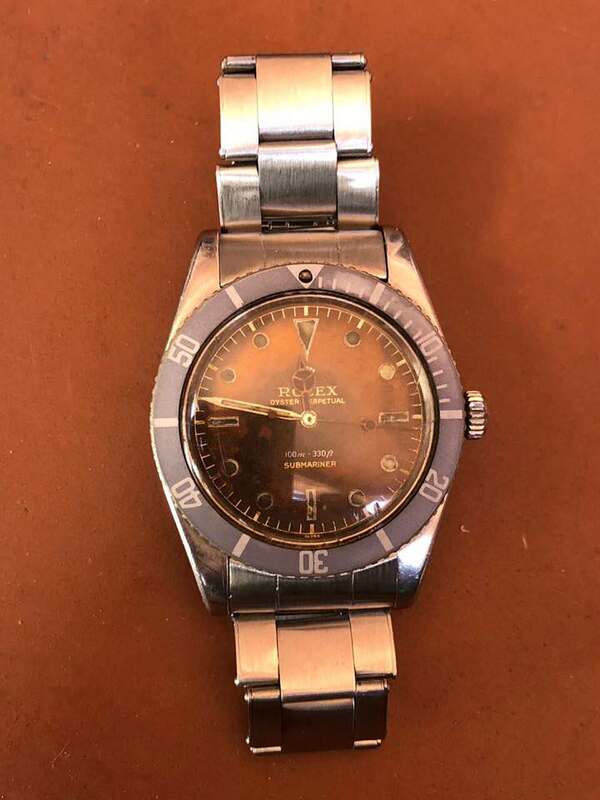 On offer Rolex 5508 gilt 2 liner dial. With tropical dial radium markers and faded bezel. 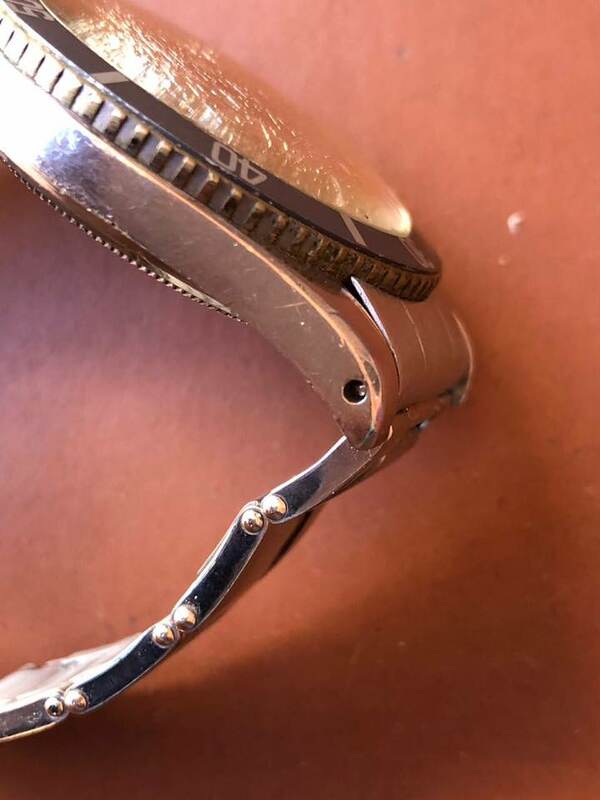 Watch was from one owner from Montevideo Uruguay and is not altered or made up and is sold exactly in the condition as it is found. 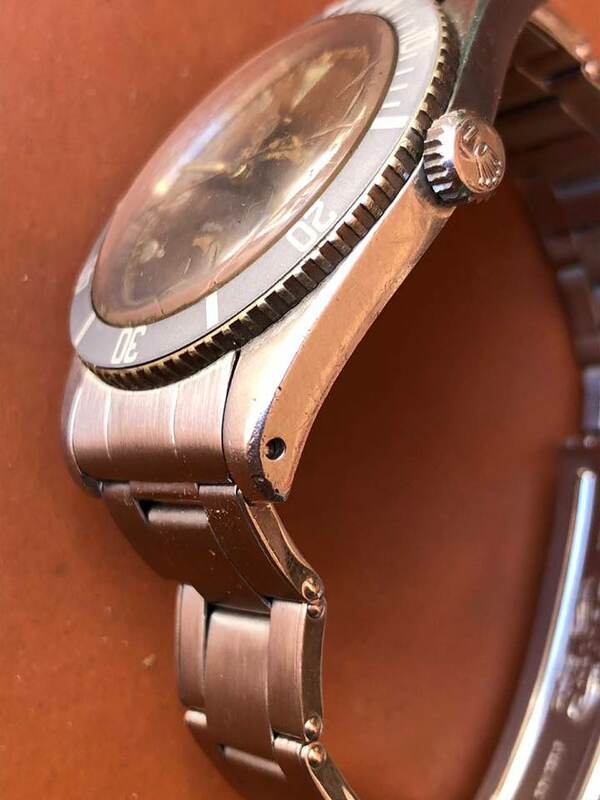 Hands ,dial crown, movement ,brass bezel , all original as. 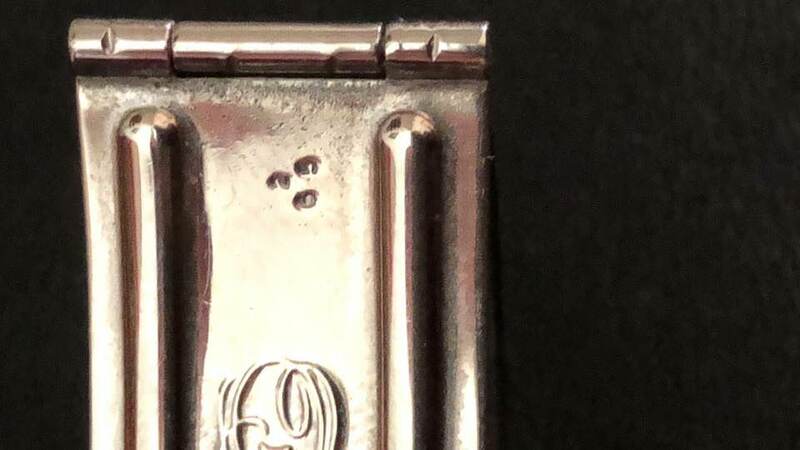 Although the insert has been replaced at in the early 1960s .She aged perfectly with the dial . She has recieved full service and keeps good time. 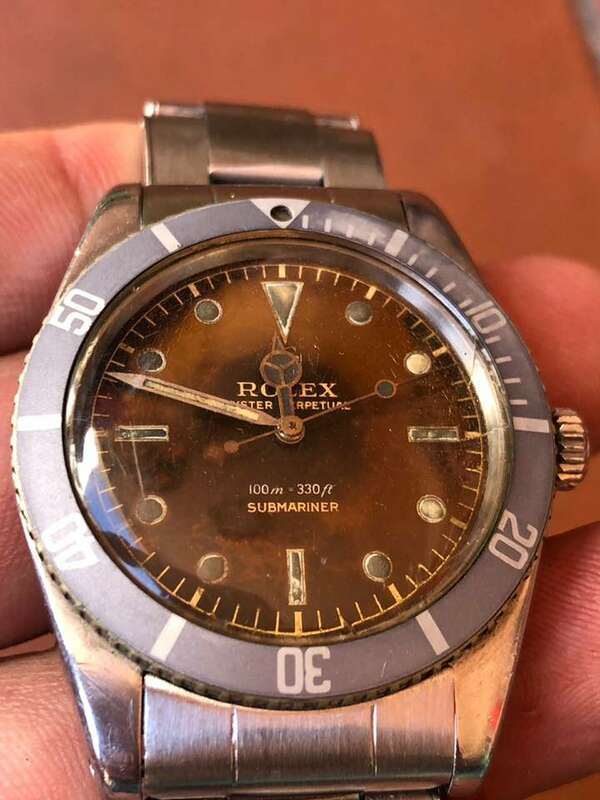 Truly an unique oppertunity for a Rolex Collector . 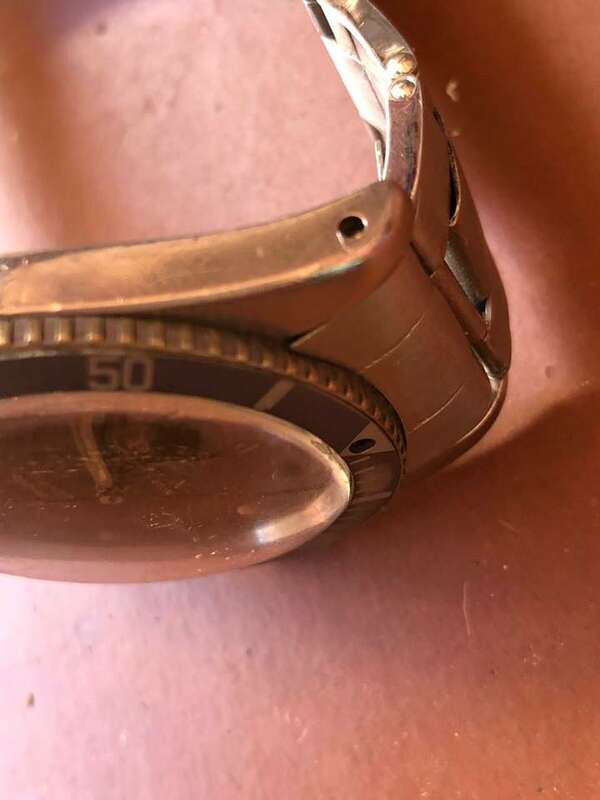 Watch is in Buenos Aires Argentina. Can be picked locally or personally taken to and shipped insured worldwide from Miami . I can provide instagram , Ebay and Facebook references.